Supported by Andre Crom, Animal Trainer, Joyce Muniz, Eskuche & Nu Sky, The Deepshakerz, Deepshizzol and more. Brussels earlier this year… Marquez Ill heard an outstanding demo track in a b2b set with Exon Bacon and had to sign it for Voltage Musique Records right on the spot. 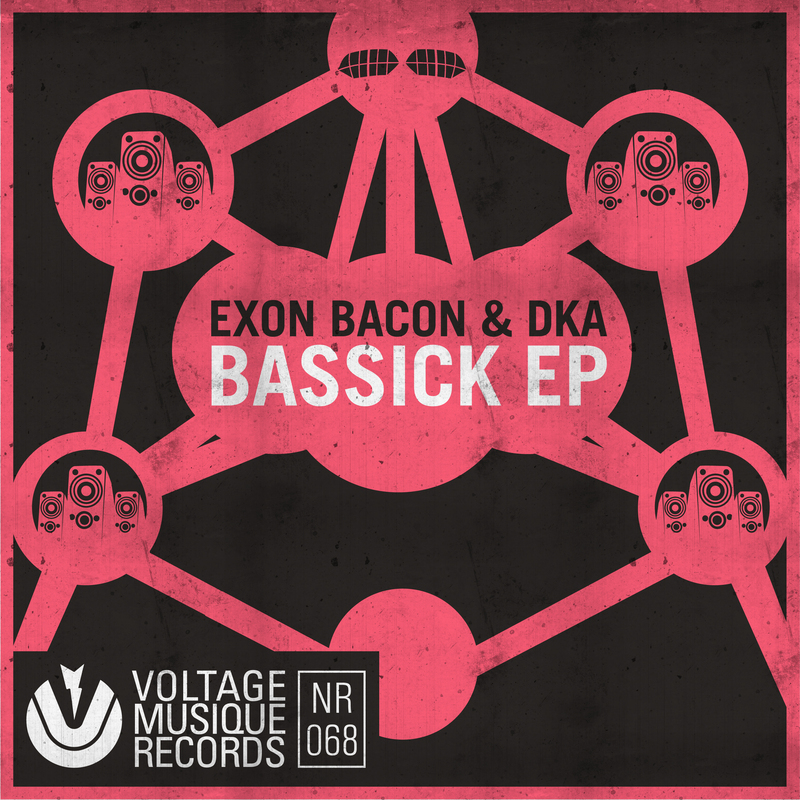 And here comes Bassick the crazy bass driven monster tune by Exon Bacon & DkA with remixes by Andreas Henneberg and Marquez Ill. For more about Exon Bacon and DkA please check their latest works on labels like Mobilee (GEACKS EP), Get Physical (Collapse EP), Play Label, Electronical Reeds and more. From Brussels with lov… erm BASS.